The description says it all: The real deal built in 1957. This was the vehicle that brought grand pappy’s mountain dew out of the holler at full chat, looking completely nondescript doing so. The Cadillac V8, which looks to be a 331 at first glance, fits snugly into a discreetly lowered ’40 Ford truck body that would slide right by Andy Griffith’s Galaxie without raising any eyebrows. Moonshiners could make great money by running untaxed liquor, well after prohibition was a memory. 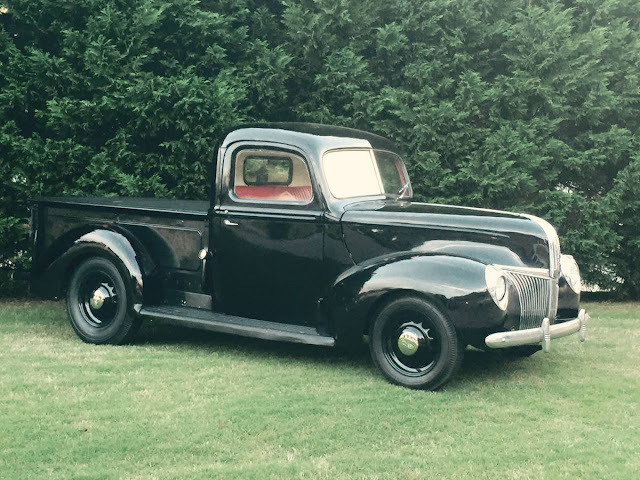 A side effect of that cash and desire to do further illegal deeds were phenomenal sleepers like this 1940 Ford Pickup in Greer, SC for $32,000. This post is part of DT's 2016 Birthday Celebration of 100 cars; enjoy the ride! 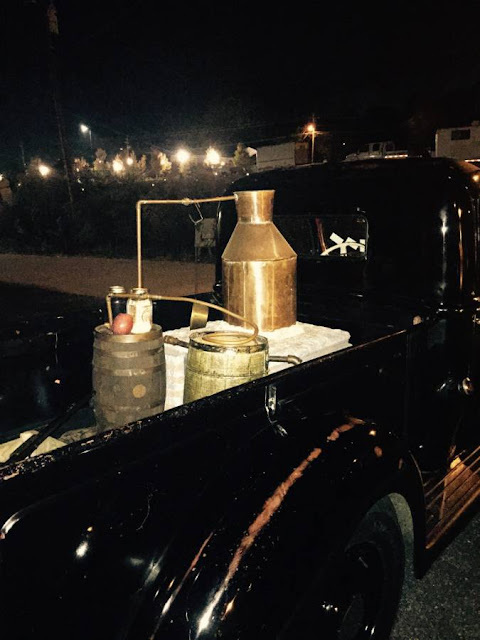 It goes without saying that this truck needs nothing other than some fermentable sugars, yeast, a fire, and an undisclosed location to be perfect. Even the tonneau cover is appropriate. The red interior offsets the otherwise undetectable black exterior quite nicely. Maybe it’s time to take a massive swig of that white lighting and hit that ‘show contact info’ button.